The intent of this book is to bring relief to people who sustain commonly encountered injuries and wounds. Without corrective treatment, these problems can destroy livelihoods and families. Immediate, acute care often stabilizes the patient, but may leave the patient with a minor or major disability. Lacking the resources typical of wealthier populations, even minor disabilities can have a devastating economic and social impact. Plastic surgeons have developed reconstructive surgical techniques that can restore the injured person to a productive and fulfilling life. Unfortunately, this type of surgery has frequently been obscured by a cloud of unawareness or perceived difficulty. 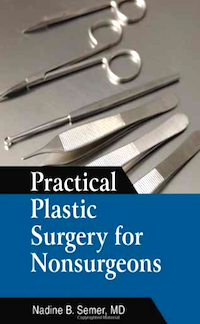 "Practical Plastic Surgery For Nonsurgeons" describes straightforward plastic surgical information and techniques. This book will be useful to health- care providers with limited access to specialists, especially providers who serve in rural and non-industrial settings. Medical students, nurse practitioner students, and residents in a wide variety of specialties will also benefit from this knowledge.